Happy Sunday lovely people! I hope you’re well and have had a lovely weekend, and that the weather has been lovely – it certainly has been here! 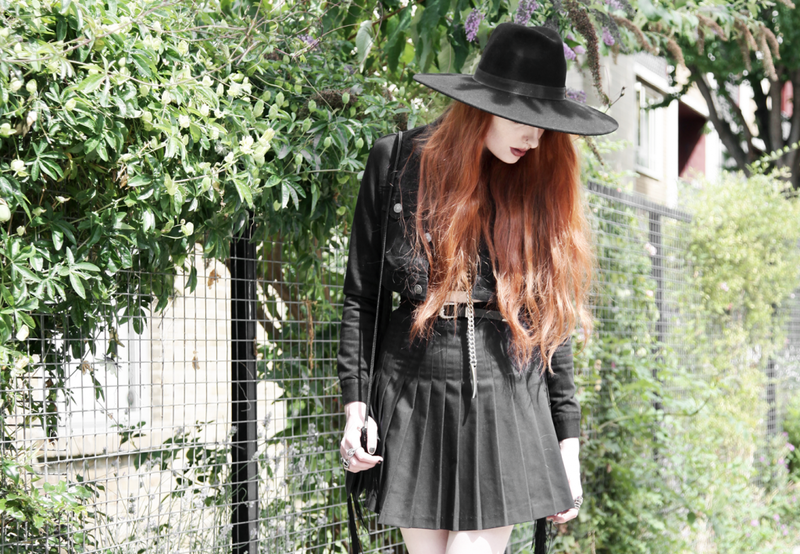 Its time for another of my Addams inspired looks – they’ve certainly racked up over the years! I’ve always loved the movies, and even the black and white tv show, so I guess it makes sense that it sticks with me right through to my style. Over the years I’ve found that if I’m unsure on what to wear, more often than not I’ll reach for my DMs, a wide brim hat & something black with a cute collar (in summer anyway, in the winter it’s all about jeans and a faux fur!). What’s your go-to when you ca’t decide what to wear? Next Post Sheerness & Shadows. You look stunning as usual, I am in love with this look and pictures! Addams family is brilliant, I understand why you love it tehe! Love your outfits so much! I especially love the Dr Martens. I wanted a pair of these ages ago. I usually go for denim shorts, a crop top, and a vintage shirt when I'm stuck on what to wear. Absolutely loooovveee this outfit, you look amazing as per. The docs are gorgeous! awesome look! really love your top! That pleated skirt is so nice! My go-to outfit is probably a high waisted skirt, so easy to wear! & a plain black one goes with most pieces! Oh my god I love this look! The skirt is amazing! Ahh please give me your wardrobe!! Looking crazy good in all that black! Everything about this is perfect ?